Phoenix Labs has been hard at work since Dauntless‘ open beta, adding in new content and reworking what’s already there for players to hunt, hunt, and hunt some more. With a new trailer released during The Game Awards, Jesse Houston and team are ready to reveal what’s next for Dauntless. 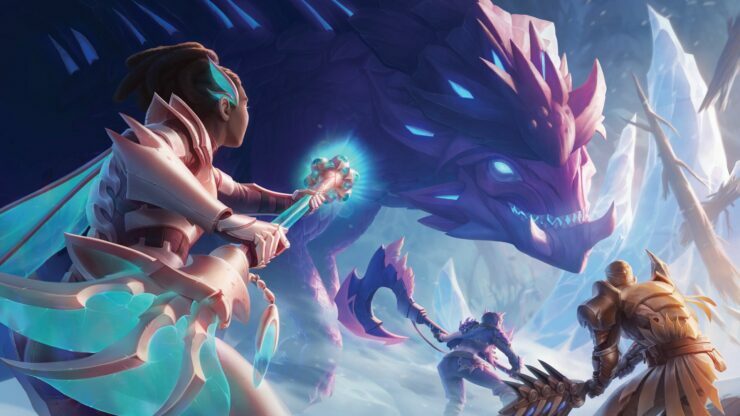 Dauntless’ latest expansion, Frostfall, was just announced during The Game Awards. Not only is this the biggest content drop for the co-operative monster hunting experience, but it is also dropping tonight. Frostfall will add in brand new seasonal combat as Ramsgate is dramatically transformed with a deep freeze. To celebrate the frosty weather, a brand new Behemoth will join the growing roster of baddies to slay: Valomyr. Phoenix Labs has lofty goals for Dauntless, bringing along more than just a group on only one platform. If you’ve been playing with your friends on PC and want to pick up a controller, your progression will carry on over to the new platform. Interestingly enough, Phoenix Labs mentioned Nintendo Switch and mobile in their press release, so this will be curious to see if these platforms are supported post-release. One Dauntless will provide players with a universal ecosystem centered around their personal experience. Players will be able to enjoy cross-platform hunts with their friends whether they are playing on PC, PlayStation 4, Xbox One, Nintendo Switch or mobile devices. When a player logs into their One Dauntless account, they will retain all of their progression, customization and purchased items across all supported platforms. Phoenix Labs is also launching the Dauntless Hunt Pass starting December 6, which will provide players with new challenges and big rewards. The Hunt Pass is a new feature offering in-game activities and challenges that players can purchase for $10.00 to earn a collection of exclusive items, emotes, cosmetics and more.